"Ella designed a logo that perfectly aligned with what I envisioned, I applaud her insight to translate my vision to reality in all aspects of the design. She was thorough with extremely efficient follow through, and established a partnership to achieve..."
"I cannot say enough great things! I really didn't have a vision in mind, yet she captured the essence of my company perfectly in the design. Extremely professional, easy to talk to, and responsive. I will DEFINITELY be coming back for future design needs!" "Designer was great about incorporating changes to just what we wanted, and very very quickly. The designer seemed to really be on top of the job and worked hard to give us exactly what we wanted. Even when what we wanted continued to change. Very ver..."
"She is fantastic. Not only very professionel in what she does but also so much serviceorientated. I cannot recommend her highly enough." "A++++ I couldn't say enough great things about ella_z. She came up with truly original designs and clearly spent a lot more time doing research and reading through my preferences before submitting designs. Great communication and was willing to try t..."
"Ella is a talented and efficient designer that understands real design. Her designs are thoughtful and of high quality. I will certainly user her services again in the future." "Great design and very professional designer." "Working with @ella_z was an absolute pleasure - we received almost 100 designs, and the level of talent, creativity and professionalism from @ella_z was unmatched. We highly recommend this designer, and plan on working with them again in the near future!!!" "Working with Ella was a pleasure. She has a great creative mind and came up with a logo i really liked. She was also very professional and replied back in a timely manner. Will for sure more work with her in the near future." "Ella did great work. She was quick to iterate on her ideas and immaculately integrated our feedback. We hope to work with her again in the future. " "Ella already did two Logos for my companies. She always has a nice ideas, a great way of approaching the design brief and is extremely creative." "Great work! Good response time - changed the logo per directions!" "Ella is very easy to work with. Very responsive to feedback and a great communicator. Debbie G."
"It was an immense pleasure to work with Ella - she is a true professional and very pleasant to work with. I would recommend her work to anyone!" "Ella was a pleasure to work with, her communication helped the process flow smoothly and in the end we came up with a logo that will be used for a long time. Thanks again to Ella for all her hard work!" 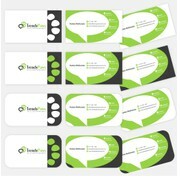 "Ella_z did an amazing job with the design for my company. From the very beginning ella_z's designs were far more superior than the other designers. She is a pleasure to work with and has an amazing talent!"